The following are the recommended terminals used for check processing. Please call us if you would like to speak with a merchant professional. More approvals mean more sales. The personal check remains America's favorite form of non-cash payment and continues to lead the way as the most frequently used payment device. Businesses which do not accept checks lose money. The key is to find ways to screen out the risky checks and provide this service for the majority of customers whose written word is as good as gold. The American Bankers Association puts the dollar amount of bad checks at $850 million last year, up 43% in two years. Your share of that loss could be significant and it can be eliminated. Why go through all these hassles in an attempt to limit your check exposure? TeleCheck® is a check acceptance service MSG offers through its alliance with TeleCheck Services. TeleCheck provides merchants with the largest, most sophisticated check acceptance system available today and stands behind the payment of any check it approves, which reduces risks to merchants and protects their businesses. 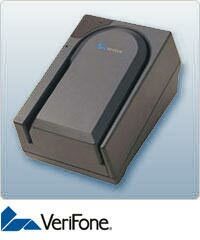 The Telecheck Eclipse is an all-in-one credit card / electronic check imaging terminal. The Eclipse is the only terminal compatible with the Telecheck electronic check service. 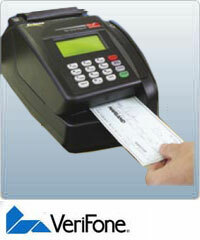 Telecheck enables businesses to electronically accept checks from their customers when using the Eclipse terminal. Several of the new features include: a built-in ink jet printer, touch-screen interface and an innovative check imaging system.